The college life gets more interesting and colorful if you are living on or near campus and spending a great deal of your time with other students. Sometimes, students have to sacrifice something trying to catch up with everything: schoolwork, extracurricular, and having a social life. Spending time in this college community, you will pick up some very helpful behaviors and very odd habits. Whatever they are, they will make your student life far more fascinating. 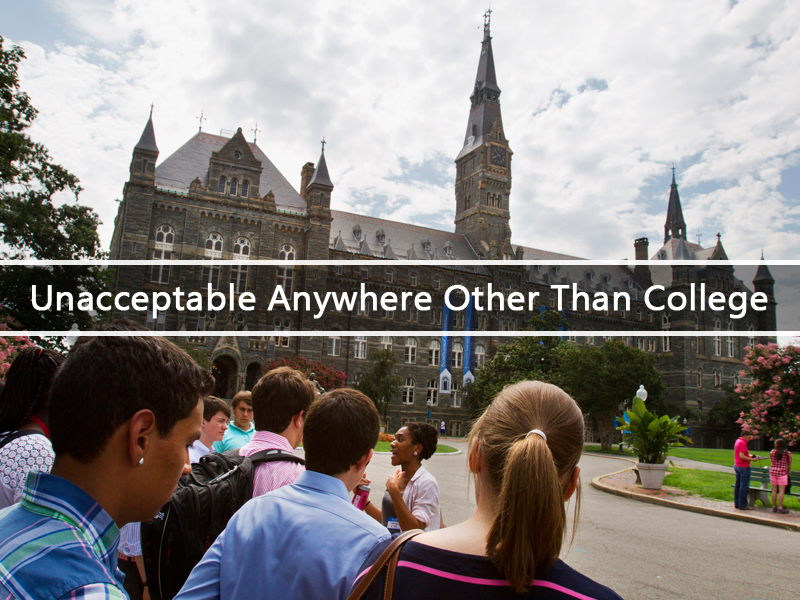 There is a list of 10 things, which are typical for every only college student. The first thing students learn from the very beginning of living on campus is how to be resourceful. It really becomes helpful when there is a good spot for a quick nap. You can bump into many creative and hilarious nappers because they may be anywhere. When a term paper is required to be 8 to 10 pages, most of the students will write an eight-pages paper. If getting a “C” is satisfying, not everybody will be striving for an “A”. Considering that a load of laundry costs much, students are less likely to spend that money. Instead, they'll continue wearing the same few cozy things. Besides, nobody cares as you spend time with different students every other day of the week. Forget the last time you had a tasty home-cooked meal? You’re not alone. It gets difficult to cook food if you are short in time and money. Thereby, many students plan their meals and come to the cafeteria on the reg. Nobody will judge you if you don’t want to leave the comfort of your pajamas and change into pants before class. For those who have a thing always to look nice, leggings can be an option which is both stylish and comfortable. College life is expensive, so you have to learn to be cheap. Eating instant noodles and reusing plastic silverware is too much. However, keep in mind that students have to be resourceful. Late-night trips to the drive-thru or supermarket are common among college students. Maybe it's studying making them hungry, but “dinner” in the middle of the night seems to be more of a college thing. It is natural to see a lot of scooters on campus. Those who hadn't seen it since elementary school would be very surprised­­. Eventually, you'll get one for yourself. The sad reality is that classes and assignments will completely drain you. When burning a midnight oil becomes inevitable, caffeine will be there to help you get through it. Even if the break is around 15 minutes between classes, you can take a nap somewhere. Sometimes, tiny naps are so easy that you can take them anywhere.